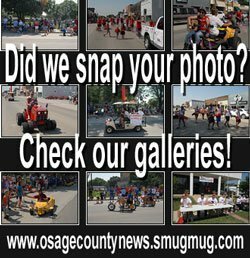 Osage County EMS: Why do first responders often look like volunteer firefighters? When someone calls 911, despite the detailed protocols and instructions given by the emergency medical dispatcher, there are many other things a patient needs from a health care practitioner. The fire departments operate the first responder programs and send emergency medical care in advance of the responding ambulance. In Osage County, all citizens are protected by volunteer fire departments, many of those firefighters are also state certified EMS practitioners. First responder programs primarily utilize emergency medical responders (EMRs) and emergency medical technicians (EMTs) to respond to their patients. Occasionally some communities are fortunate enough to have a few advanced level practitioners, such as advanced EMTs and paramedics, participate with their fire departments. The goal of the first responder program is to be able to provide initial assessments of the patient to determine what care the patient needs and provide immediate life-saving care. If needed, they can administer basic life support measures such as oxygen, CPR, basic airway management, use of an AED, immobilization, splinting and some administration of medication. Those responders with an advanced certification can provide additional interventions when needed, such as IV therapy, intermediate to advanced medications, EKG monitoring, defibrillation and other advanced airway and ventilation skills. Firefighters that are certified have taken an initial course of instruction, a didactic and practical skills examination. All of these are approved and monitored by the State of Kansas Board of EMS. 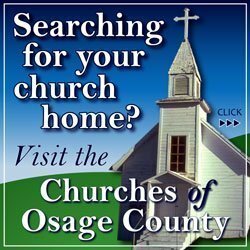 In addition, responders operate under medical care protocols and policies approved by the physician medical director of Osage County EMS. Even volunteer firefighters that are not certified as EMS practitioners are often trained in first aid and CPR. In addition to the clinical care they offer patients, often there are numerous things that first responders assist the ambulance crews with by managing scene logistics, moving patients, communications, and rescue and extrication efforts. Anyone who is interested in volunteering in their community should contact the local fire chief to find out how to apply and the requirements the department requires. Anyone interested in taking an initial EMT course should contact Cody Heckman, of Osage County EMS, at 785-528-1139. OCEMS conducts courses about every 6-12 months, depending on interested students. 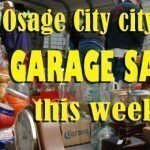 For more information, visit www.ksems.com/OsageEMS.htm.